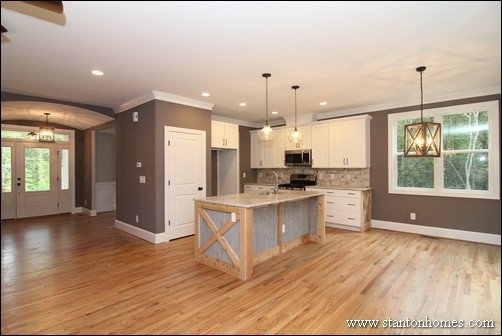 The Durham Orange and Chatham County Parade of Homes is complete. 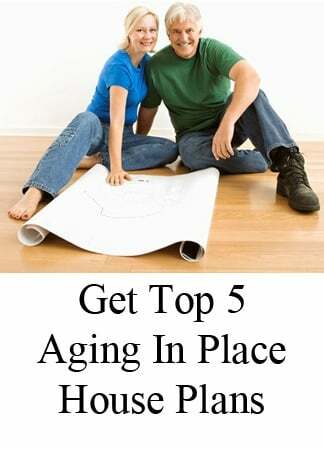 Where is are Parade Homes located? Open layout with island kitchen facing the breakfast and great room. 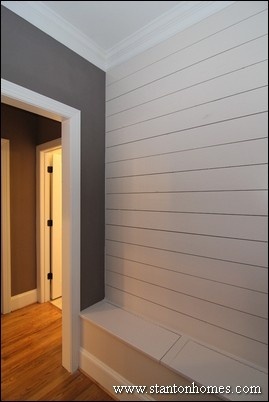 Shiplap wall above the fireplace. Stone hearth. Custom island in the white kitchen. 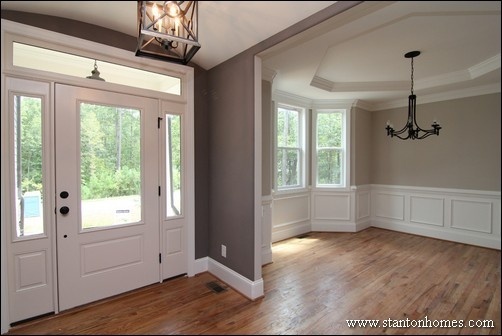 Barrel vaulted foyer with white front door and rounded corners into the wainscot formal dining. 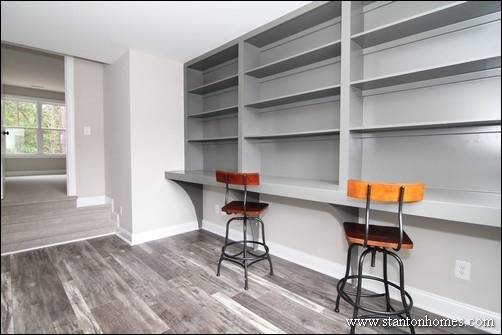 Shiplap wall in the mudroom, with seating bench storage. 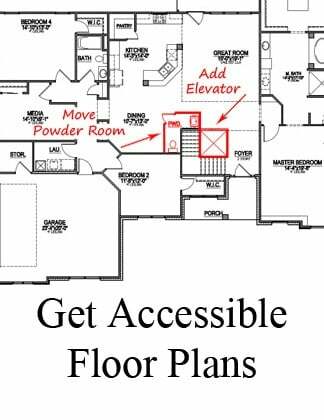 Third level floor with second bonus room. 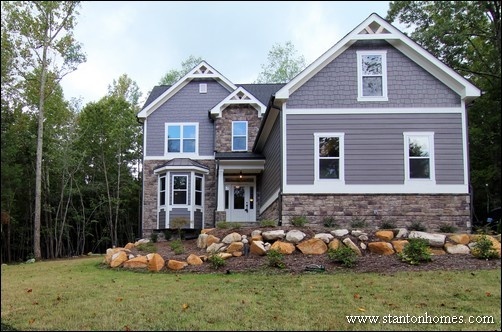 Stanton Homes is an award winning custom home builder with two homes to view in the Pittsboro, Chatham County Parade of Homes. 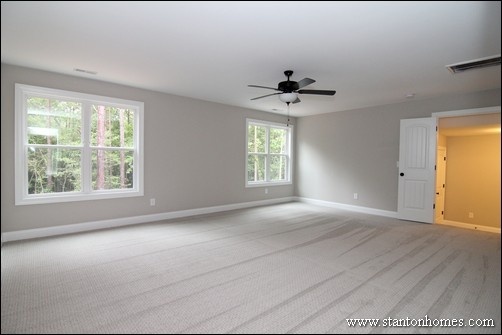 The Parade of Homes is an annual open-house tour of new homes available to the public throughout Chatham, Orange, and Durham County. 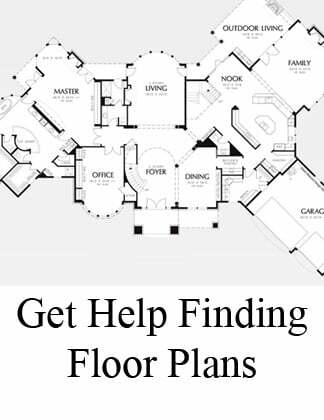 This free event allows anyone to tour gorgeous new homes and learn more about the latest products, trends, technology available in new home construction. 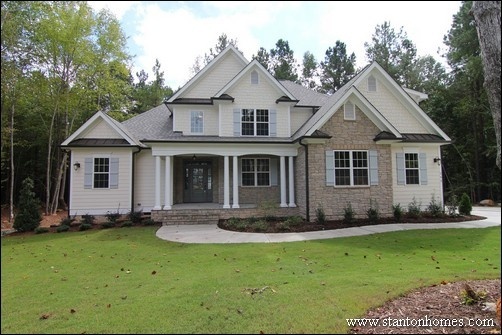 The Parade of Homes is Presented by the Home Builders Association of Durham, Orange and Chatham Counties.The tour is self-guided and open to the public. Tour books will be available in late September at local Harris Teeter locations, REALTOR® Offices and the HBA Office. 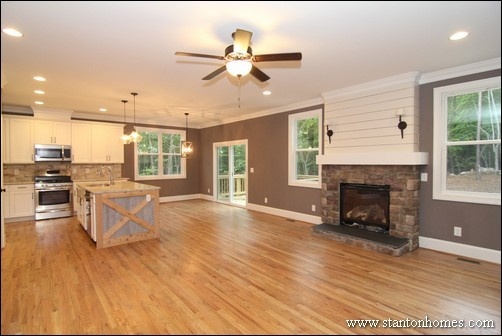 The Durham Orange and Chatham North Carolina Parade of Homes is Complete. 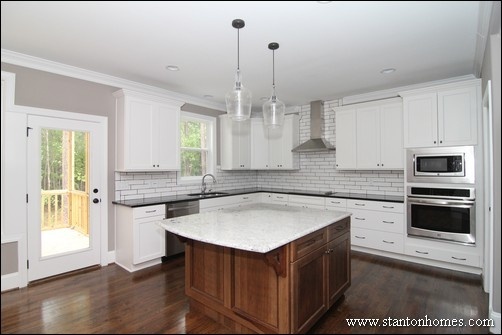 The Parade of Homes is an annual open-house tour of new homes throughout Durham, Orange and Chatham Counties. 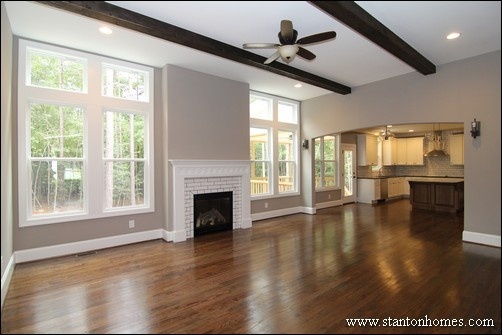 Open concept great room and kitchen with wood beam ceilings, white tile brick fireplace, archways, island in the kitchen. 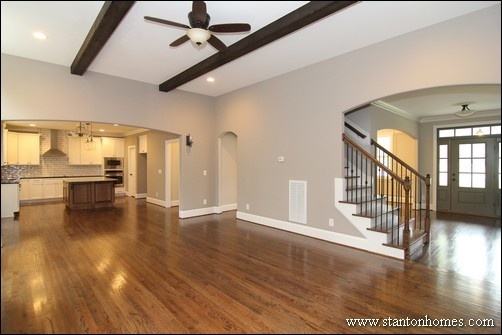 Gray front door, archways into the formal dining room. White and black kitchen with a wood island. Stainless steel hood with electric cooktop. Single wall oven with the microwave above. 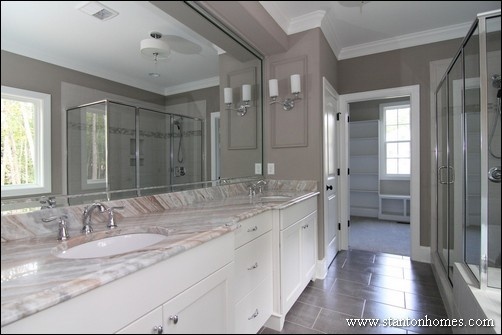 Gray and griege master bathroom with tile shower, soaking tub, his and hers furniture vanity, painted wall wainscoting, walk in closet. 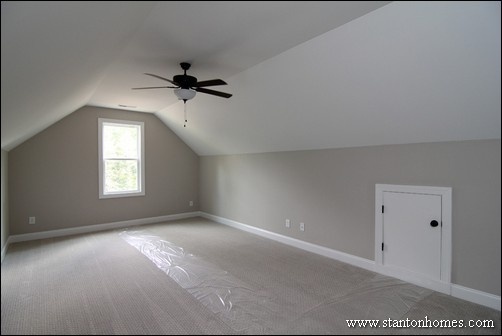 Kid's craft room above the foyer, through the media room. 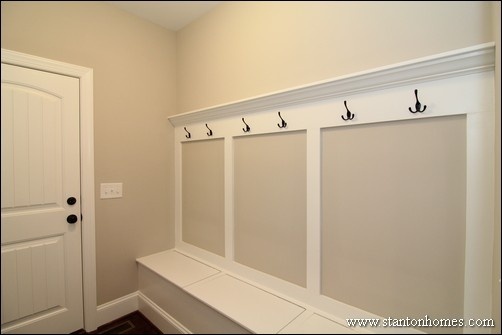 Mudroom with drop zone, bench storage, coat hooks. 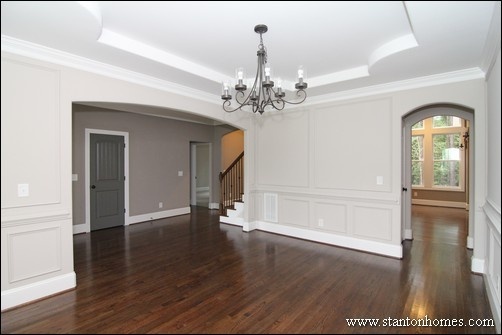 Gray wainscoting formal dining room with archways. 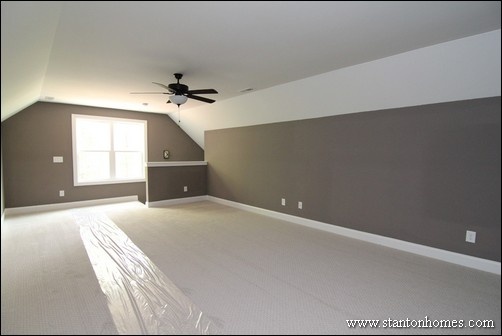 Oversized media room upstairs with two door entry. 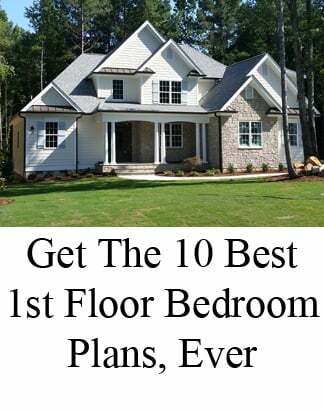 This free event allows anyone to tour gorgeous new homes and learn more about the latest products, trends, technology available in new home construction. 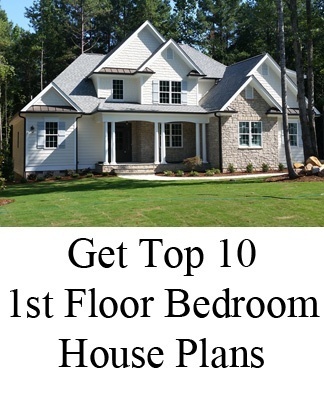 The Parade of Homes is Presented by the Home Builders Association of Durham, Orange and Chatham Counties. The tour is self-guided and open to the public. Tour books will be available in late September at local Harris Teeter locations, REALTOR® Offices and the HBA Office.